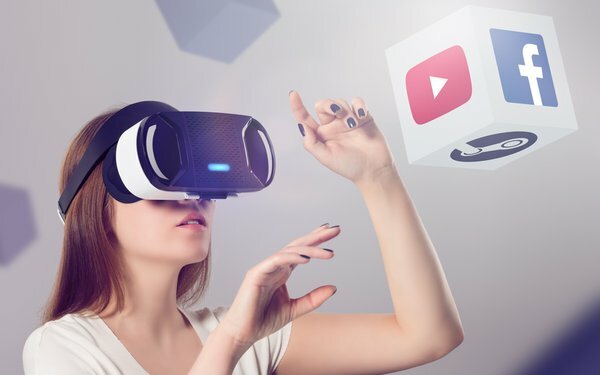 Driven by lower prices, new devices and an expanding array of content, the market size of virtual and augmented reality headsets is being propelled at a breakneck pace. Total VR and AR headset shipments will see explosive growth from 10 million units last year to 99 million units in four years, based on a new tracking report. The virtual and augmented reality headset market will grow 58% a year for the next five years, according to the new International Data Corporation Worldwide Quarterly Augmented and Virtual Reality Headset Tracker. Following demand primarily from technology enthusiasts, last year saw an increase in use cases for content consumption and gaming, Ramon Llamas, IDC research managers stated in the report. Content providers already are developing solutions to bring what IDC calls ‘as-if-you-were-there’ experiences, such as attending a concert or sporting event from the couch. While augmented reality remains the smaller portion of the market in terms of shipments, the headsets are expected to bring in more revenue, growing from $209 million last year to $49 billion in 2021. Meanwhile, virtual reality headsets will grow from $2 billion last year to $19 billion in 2021. VR headset shipments will greatly outweigh AR devices. The revenue discrepancy is because some AR headsets, especially for industrial use, can cost upwards of $1,000. Consumer VR headsets, on the other hand, can range from Google Cardboard types to some that can cost 10 times less than an AR device. The number of consumer VR and AR headsets in the market is significantly larger than commercial devices. For example, 8 million consumer headsets hit the market last year compared to 2 million commercial devices, with consumer devices accounting for 80% of the market. By 2021, IDC projects consumer headsets still will lead the market, at 61 million units, which will be 62% of the VR/AR headset market. The devices will be there, a massive platform for new content.